Punks and non-punks alike have long sported the Ramones shirt as a way of both giving the finger to authority and looking super cool. Thus, there’s no real reason why this collection of pictures Dangerous Minds put together of celebrities wearing Ramones shirts should be so disgusting, but it really is. 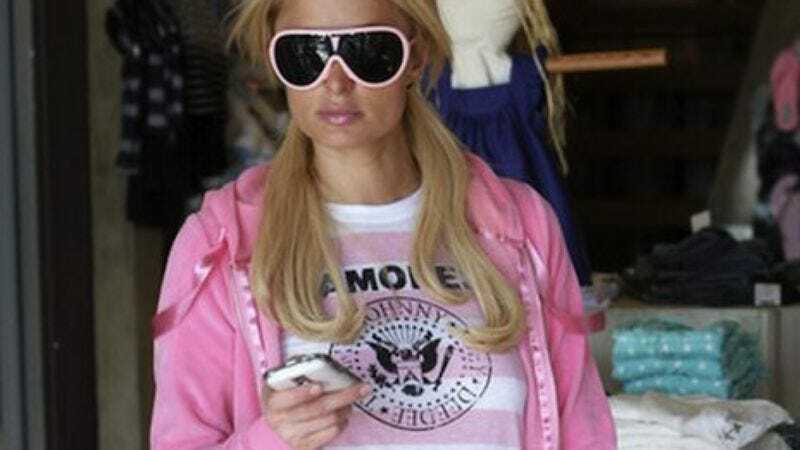 Paris Hilton, really? Did it have to be pink? And Fergie, why pair a full-sized t-shirt with short shorts? Give that tee the filthy, piss-stained, full-length jeans it deserves. Some of the best pics are below, but to really get your old punk mind blown, check out the whole gallery on Dangerous Minds.